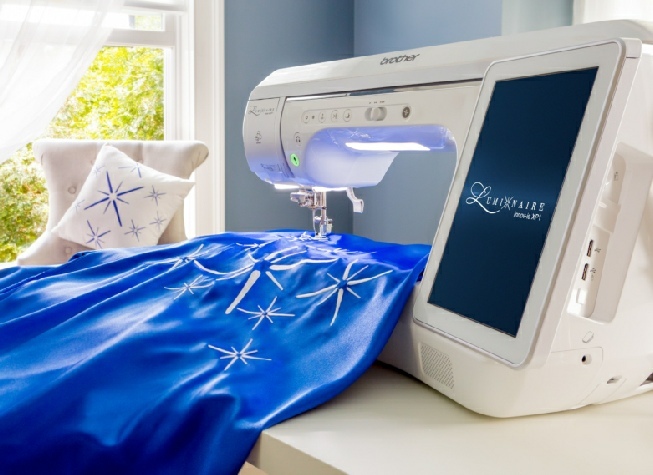 All Rights Reserved | Opelika Sewing Center, Inc.
- Revolutionary StitchVision Technology - Clearly preview stitches and embroidery designs directly on your fabric with this intelligent projection system. Preview, audition and edit your designs and stitches in a 5" x 3" virtual preview area. - Guideline Marker Line and Guideline Marker Grid - Project a guideline marker line and marker grid on your fabric, offering you the option of single, double, angled, or grid lines to light your path with precision. Great for creating multiple rows of stitches, parallel stitching, pin tucks, hems, curtain rod pockets, decorative stitches, cross hatch quilting, or smocking. - Large 10 5/8" x 16" embroidery area - The largest and most advanced embroidery frame that Brother has ever offered. Create larger-than-life embroidery with ease. - Spring Lever Release Frame - Frame includes rubber plates on both sides for a superior grip on fabric, while an ergonomic spring lever release enables easier, clamp-free hooping. Additional frames include 4" x 4", 5" x 7" and 9.5" x 9.5" sizes. - 65 square inches of workspace, 13.1" needle to arm - Handle virtually any project with ease on 65 square inches of workspace. A generous needle to arm distance of 13.1" is our largest ever, providing the capability to fully accommodate a rolled king-sized quilt! - Built-in embroidery pointer - Displaying a ‘T’ mark in three different colors, the pointer can show the center of your embroidery design as well as the needle drop position on the fabric. - One Action Needle Plate - Allows for needle plate changes without the use of a screwdriver, saving you time and effort for a seamless sewing experience. - – Switch between five different levels of bobbin winding to suit your needs. 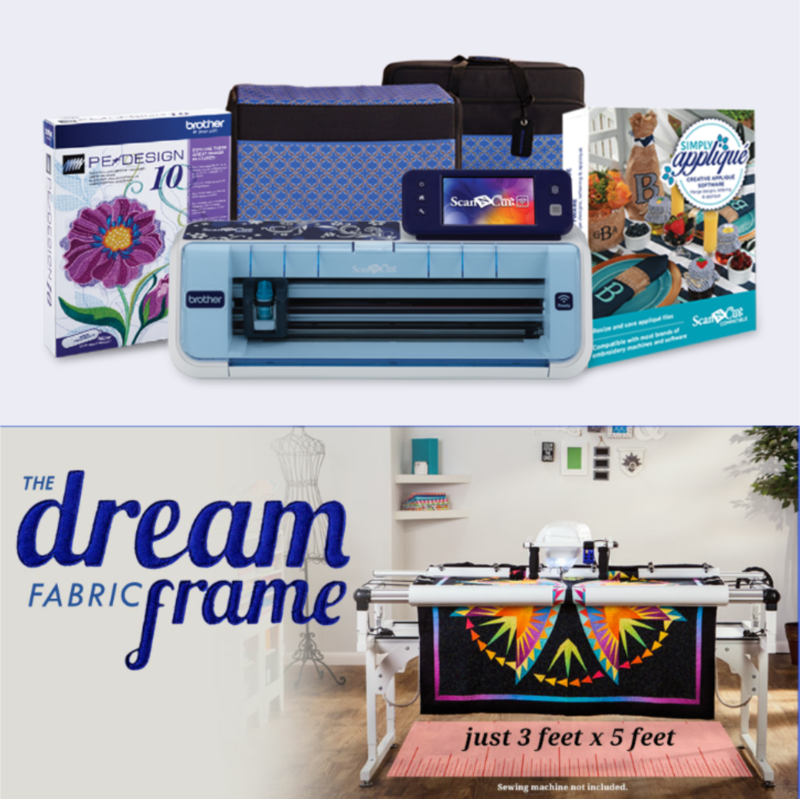 - Echo quilting - The echo designs follow the contour of the original embroidery and expand outwards, with adjustable spacing to help you customize your designs down to the last detail. 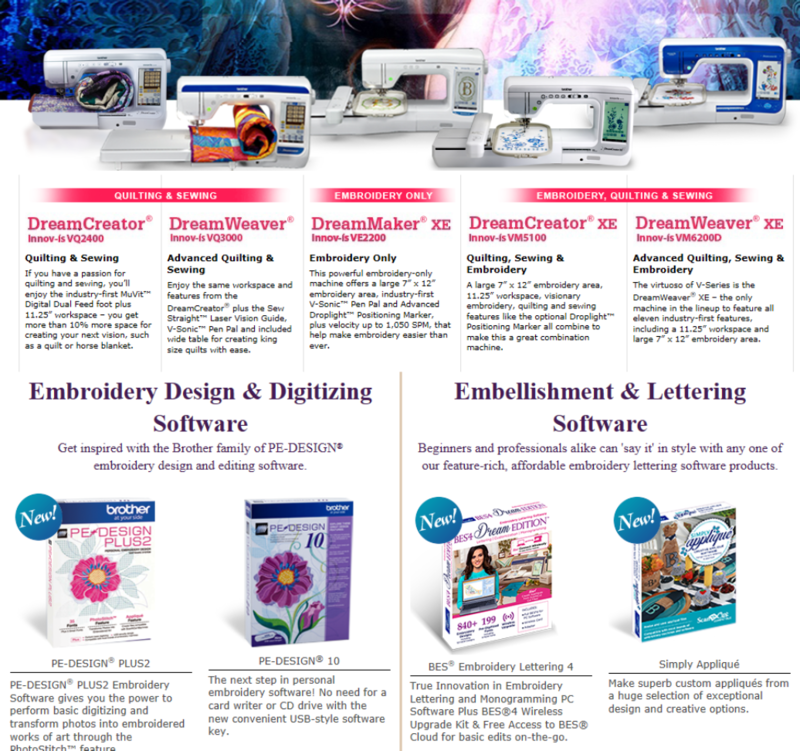 - Expandable library of built-in tutorials - View over 30 enhanced tutorial videos directly on the high-definition LCD display (version 1.2) – with everything from basic operations to embroidery functions. - Large 10.1” built-in high-definition LCD display with capacitive technology - View your creations in crisp, vivid color and navigate easily with the scrolling menu and large, intuitive icons. The intuitive touch screen works like a tablet with familiar sliding, swiping, scrolling, and pinch-to-zoom for viewing detailed steps, categories, and designs.